We are involved in offering Scientific Microscopes which can used for medical purposes. 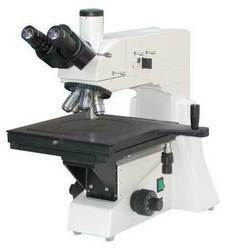 We offer student compound microscope, pathological medical research and monocular at market leading rates. All these microscopes have sturdy construction. 2. With large move range mechanical stages, can move quickly and slowly. 3. Coaxial coarse/fine focus system, with tensional adjustable and up stop, minimum division of fine focusing: 0.7μm. 4. 6V 20W halogen lamp, adjustable brightness. 5. Trinocular, can switch to observe normally or to observe the polarize, can send 100% of light to the binocular eyepieces or to the top port. Stage: Three layer mechanical Size:250mmX230mm, movingrange:154mmX154mm Three layer mechanical Size:280mmX270mm, movingrange:204mmX204mm. Operating Surgical Microscope: We are identified as one of the major Surgical Microscopes Manufacturers in India. 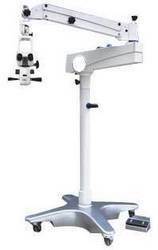 The Endure Medical Surgical Microscopes offered by us are widely demanded in the market for accurate results, easy handling and low maintenance cost. Additionally, we provide ENT Surgical Microscopes (OPY100) that are manufactured meeting the international quality norms. Looking for Research Microscopes ?